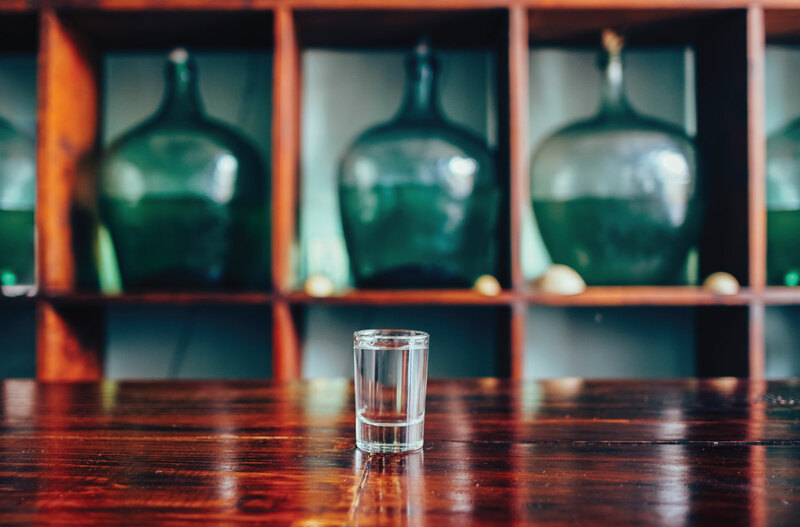 Mezcal is a Mexican distillate from the agave plant. It can be Blanco, Reposado or Añejo, and it can also be traditional, ancestral or simple. Mezcal is a generic name and tequila belongs to it. This spirit is produced in nine states of Mexico from hundreds of varieties of agave. Oaxaca has a great tradition in the use of different arrays of agave. Sacrificio Joven y Reposado, are handmade mezcal elaborated with espadín agave in Tlacolula, Oaxaca. This gives it a unique character, thanks to its artisanal process and the selection of ripe agaves. Sacrificio does not have wood or smoked flavourings, as the taste of agave itself is the best thing mezcal can offer. Sacrificio Reposado is aged for 3 months in unroasted brandy barrels. Its preparation begins with a careful selection of agaves, the best agaves at their point of maturity. The heart of agaves are cut and baked over low heat with mesquite and ocote wood for two days, then the grinding stage comes to obtain the juices that are collected in wooden vats for fermentation. 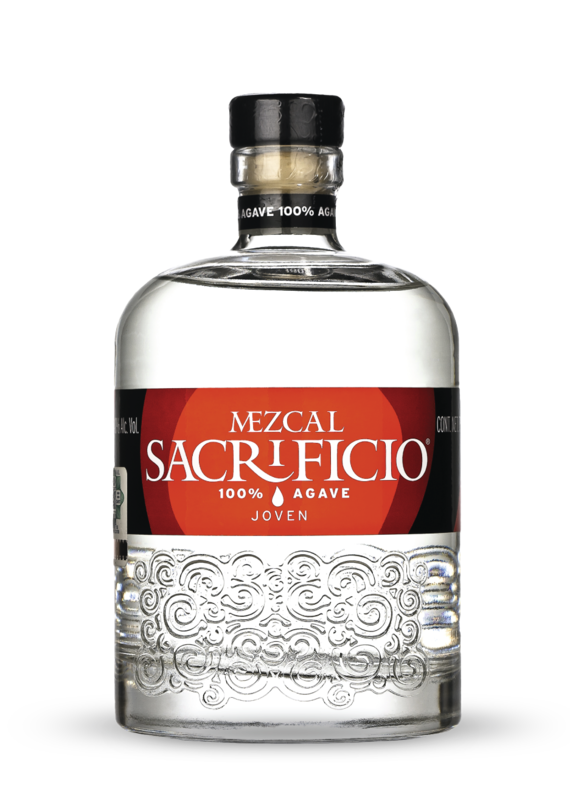 Mezcal Sacrificio is distilled twice; first in steel for concentrate, and then copper to refine and smooth. In quest of a more sophisticated experience we appealed to resting, which as in any good recipe, improves the result. Over time, oxygen permeates the wood and refines each note of the distillate. 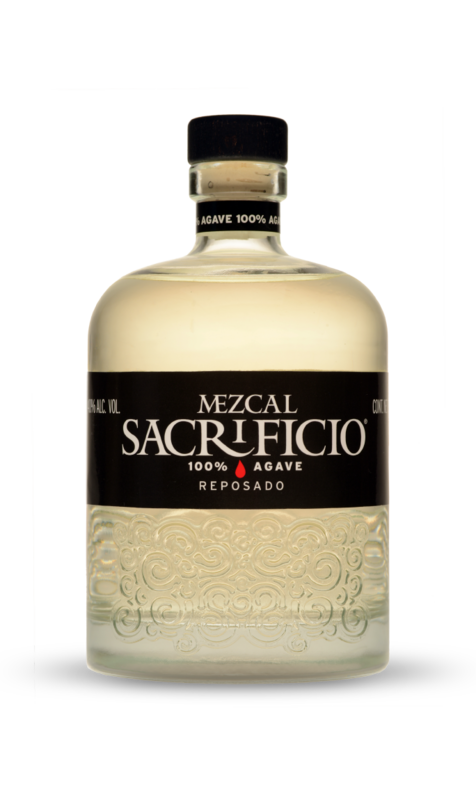 Mezcal Sacrifico Reposado does not need more toasting than that received backing process described before. For this reason, we use unroasted barrels to preserve the elegance and youth of the delicious, clean, fruity and fresh taste of agave. The mezcal is great as an appetizer and digestive. It is a good companion at parties and conversations. It is the ideal companion of Mexican snacks; both acidic or spicy. Sopes, toasts, ceviches, fried foods, tacos and fresh cheeses. To intersperse small snacks and sips. Sacrificio is good to combine, especially with coffee, exalting the qualities of both flavours, in palate and essence. Sacrifice has the gift for mixtures. It maintains its physical and spiritual properties. It is ideal with citrus fruits.